Ideal for cooker hoods with 125mm connections with extraction rates of approx. 500m3 per hour. 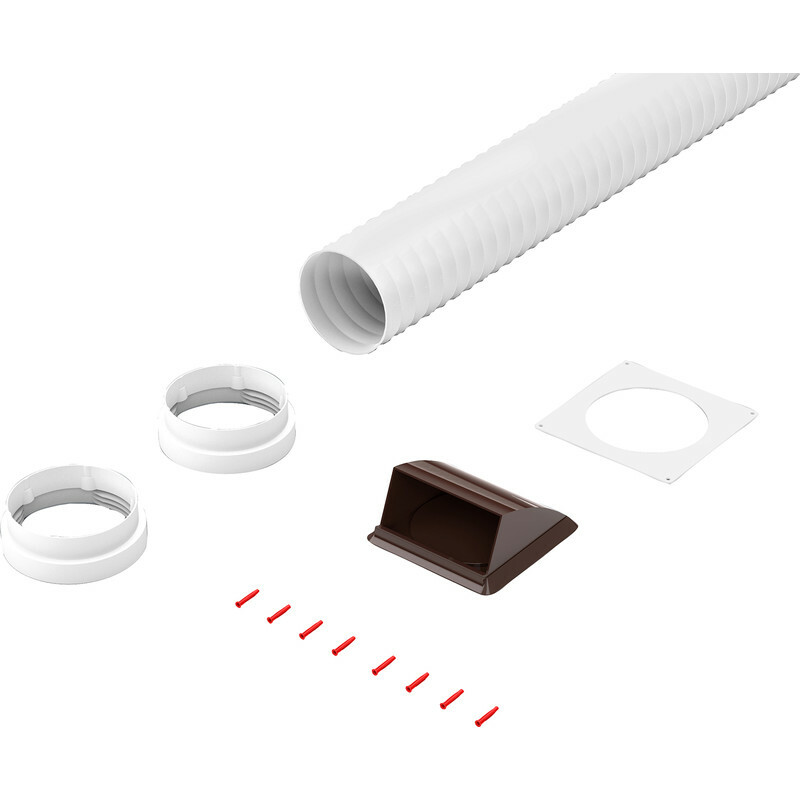 Cooker Hood Flexi Kit 125mm 1m Brown is rated 4.0 out of 5 by 5. Rated 3 out of 5 by Dontdonicknames from OK But... Mine had the same "Sticking flap" problem as other reviewer. Fairly easy to trim down bits that rub but the casing moulding is distorted. This fault would have been obvious when putting together for packing. Rated 5 out of 5 by maff from Good product Good product. Well made. All the necessary bits were included in the pack.